A series of meetings will soon take place around Australia to explain how solar owners and supporters can act together against the rapidly growing threats to small scale solar power. Grass roots group Solar Citizens says big energy companies are losing profits due to people taking back control over their electricity bills and are making it harder for families to go solar; stating they “are in the ears of our politicians, telling them that solar is a problem”. Solar Citizens seeks to bring together existing and future solar owners in Australia to ensure solar owners’ rights are protected and to help see solar installed on every suitable rooftop in the nation. In addition to challenges that could be faced by existing solar households; there are also threats for potential owners of solar power systems relating to the Renewable Energy Target review. The small scale component of the RET, the SRES, provides financial support for the purchase of solar panel systems. 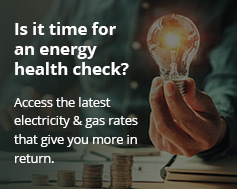 In a recent submission to the review panel, AGL Energy has stated that subsidisation should be scrapped. If that were to occur, thousands of jobs in the sector would be threatened and many more households may not be able to afford to install solar panels; locking them into a future of high power bills.